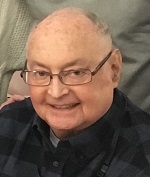 Jay Stark, 74, of Bloomfield Hills, Michigan, died on 27 April 2018. The Funeral will be held at IRA KAUFMAN CHAPEL on Monday, 30 April 2018 at 11:00 AM . Rabbi Paul Yedwab and Cantor Neil Michaels will officiate. Beloved husband of 49 years of the late Sandy Stark. 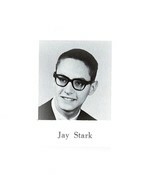 Cherished father of Rabbi Eric (Julie Elfand) Stark and Michael (Danielle) Stark. Proud grandfather of Morgan and Sloane Stark. Loving brother of Robert Stark, Hilary (Scott Mullennix) Wilson, Eliot (Pauline) Stark, and Francine (David Hundiak) Stark-Hundiak. Dear uncle of Aaron and Jon Stark.